Research on climate change had languished since the early 20th century work of Svante Arrhenius and others who were trying to determine what factors might lead to atmospheric warming or cooling. Climatologists remained convinced that although climate had indeed been different in the past, it was not currently changing. Meteorologists were still focused on producing the next day's forecast. Research on the connection between atmospheric carbon dioxide (CO2) and atmospheric warming again fell to a man working outside the atmospheric sciences. 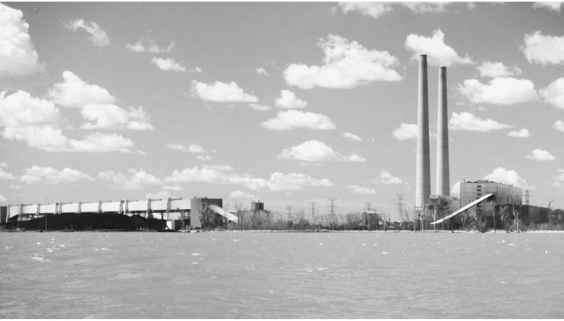 Guy Stewart Callendar argued that industrialization, represented here by the fossil fuel—burning Monroe Power Plant, had raised the carbon dioxide level in the atmosphere. lion tons (9 x 1013 kg). As a result, the CO2 level in the atmosphere had increased by 6 percent since the turn of the century. According to Callendar, this additional CO2 could be responsible for 60 percent of the 0.9°F (0.5°C) increase in temperature over the previous century. He calculated that if the carbon dioxide level doubled (from 0.032 percent to 0.064 percent of the atmosphere), the increase in reradiation of heat back to Earth would result in a 3.6°F (2°C) temperature increase. In 1938, a warmer atmosphere still did not appear to be a bad trade-off for increased CO2 emissions. 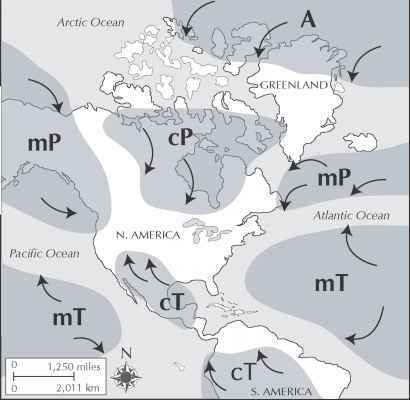 Not only would the air temperature be warmer, thus reducing heating requirements in winter, but the increased CO2 would help plants to grow larger, allow increased cultivation in northern latitudes, and prevent glaciers from growing. As the world's population increased, all of these potential outcomes seemed to be good. Meteorologists, however, did not accept Callendar's conclusions. Some disputed his data, arguing that CO2 measurements from the late 19th century were not very accurate. In addition to data issues, the British meteorologist Sir George Clark Simpson (1878-1965) viewed the global warming scenario as being too simplistic because Callendar had neglected to consider how air moved throughout the entire atmosphere. Callendar, however, defended the reliability of CO2 levels measured since the beginning of the 20th century and argued that global warming was a very real phenomenon. In his 1939 article "The Composition of the Atmosphere through the Ages," Callendar further argued that people were conducting a "grand experiment" by pumping CO2 into the air and interfering with the natural order of things. His analysis of weather data indicated that the years between 1934 and 1938 were the warmest of the previous 180 years. He concluded that the rise in temperature was directly related to industrial emissions of CO2. (The relatively small number of automobiles—compared to today's levels—made their contribution negligible.) Meteorologists and climatologists continued to discount Callendar's work. It would not be until 1941, when Callendar published yet another article in the Quarterly Journal of the Royal Meteorological Society ("Infra-Red Absorption by Carbon Dioxide, with Special Reference to Atmospheric Radiation") showing that the absorption of heat by CO2 in the atmosphere was far more important than anyone had realized, that meteorologists finally took notice. Once they understood that warming could not be attributed exclusively to water vapor, the increase in CO2 level took on special importance. Interest in global warming—and cooling—would wax and wane during the next two decades. As data started to accumulate and computer models became more accurate, debates over global warming and climate change would become more intense in the latter part of the century.